Developing a strong brand identity is important both for big companies and newly developed small businesses. There is a strong competition in every industry, no matter how unique your product or service might be. That’s why entrepreneurs should ask themselves what is the message they want to communicate to their target audience. Every aspect, from the idea to the execution should be well thought. While brand is the way your business (product or service) is perceived in the marketplace, brand identity is a set of visual attributes which create the look and the feel of your business. The more distinctive and appealing the elements of your brand identity are, the higher is the possibility for your brand to get recognized in the marketplace. Does my business need a brand identity? There is a common belief that big companies don’t need brand identity, as they are already well established in the marketplace. However, it’s not a rare case that they begin the process of rebranding when they want to communicate a different message to their target audience. The same goes for startups. Small business owners should think about the message they want to communicate to customers prior to launching their product or service on the marketplace. The message should be the same throughout all channels. This might be easier said than done, but there are certain rules for developing key elements of brand identity. How to create a strong brand identity? Depending on the industry in which you run your business, you should choose your colors, shapes, and fonts wisely. It doesn’t come as a surprise that you wouldn’t go in the same direction when creating a logo for entertainment industry and the finance industry. The same goes for choosing appropriate colors. The use of color on your product, logo, or marketing campaigns should differ depending on the industry, but also depending on the country in which you sell your products. The meaning of colors is not universal, and may have a different meaning in different cultures. 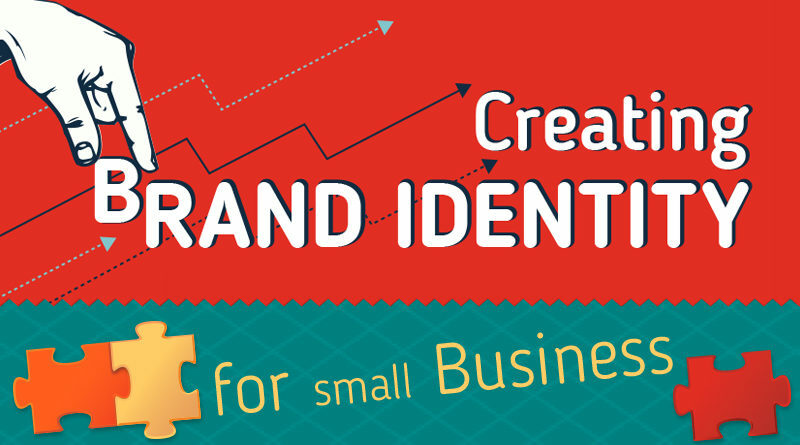 Check out the brand identity infographic below and to get more insights about the key elements of brand identity, and how to establish them for different business industries.